Gas Pool Heaters - ACES Inc.
With over 59 years combined experience in the propane/natural gas industry, ACES, Inc is SW Florida’s expert in natural & propane gas heater repair and replacement. Gas pool heaters are the most popular system for heating swimming pools. Today you can find new gas heaters with much higher efficiency than older models with brands such as Jandy and Raypak/Rheem. Gas pool heaters use either natural gas or propane. As the pump circulates the pool water, the water drawn from the pool passes through a filter and then to the heater. The gas burns in the heater’s combustion chamber, generating heat that transfers to the water that’s returned to the pool. They’re most efficient when heating your pool or spa very quickly. Unlike heat pumps and solar pool heaters, gas pool heaters can maintain any desired temperature regardless of the weather or climate.Gas pool heaters can rapidly bring your pool or spa to your desired temperature much quicker than heat pumps or a solar heating system. 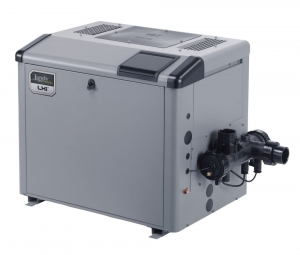 When selecting a gas pool heater you need to consider size, efficiency and cost. Let a trained technician from ACES, Inc. come to your home to perform a proper repair or analysis of your existing gas heater. With a full line of gas heaters and the automation solutions to control it all, Jandy has the complete equipment package for any swimming pool or spa. ACES is a proud member of the Zodiac Pool Pro Network and we always recommend using Jandy products. This allows us to increase your heater’s warranty to 2-years. This also increases your parts warranty to 2-years instead of the standard 90 days. We offer warranty services for all Jandy & Raypak heaters, and we are also proud to service all major brands of gas heaters including: Jandy, Raypak, Pentair/Sta-rite, Hayward & Lochinvar. 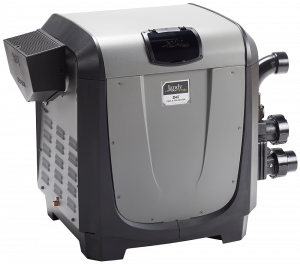 With its compact size and ergonomic design, the Jandy JXi heater is a top choice for pool professionals and residential pool owners everywhere. The Jandy LXi includes a heavy-duty cupronickel heat exchanger with bronze headers and an ASME® certified rating. It offers more resilience to imbalances in pool water chemistry compared to standard heaters. Jandy Pro Series Hi-E2 pool heaters are highly-efficient and the perfect choice for extended swimming seasons. The Hi-E2 is ideal for commercial pools. The higher efficiency cuts costs in commercial applications due to lower fuel bills. All Jandy heaters are automation-ready and compatible with all brands of automation control systems, and have low NOx emissions. 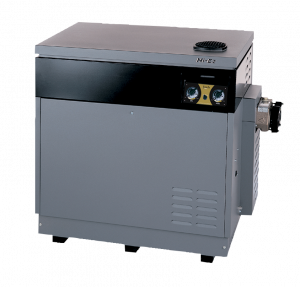 ACES, Inc. recommends the Jandy heater line for all commercial pool & spa applications, due to their quality, warranty, and reliability.